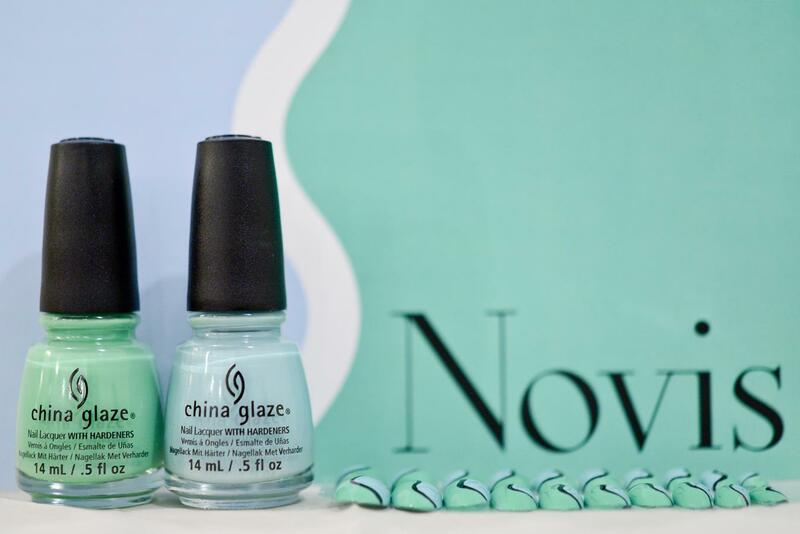 i've got a fun press release from China Glaze to share today! find out their looks from two different designer's shows :D hope you enjoy! 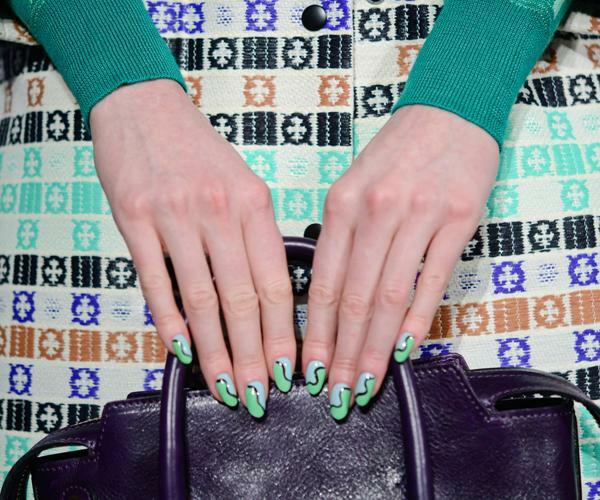 Los Angeles (February 2015) –The runway was awash in watercolor shades with pops of bold blues and purples at the Fall/Winter 2015 Novis presentation during Mercedes’ Benz New York Fashion Week. 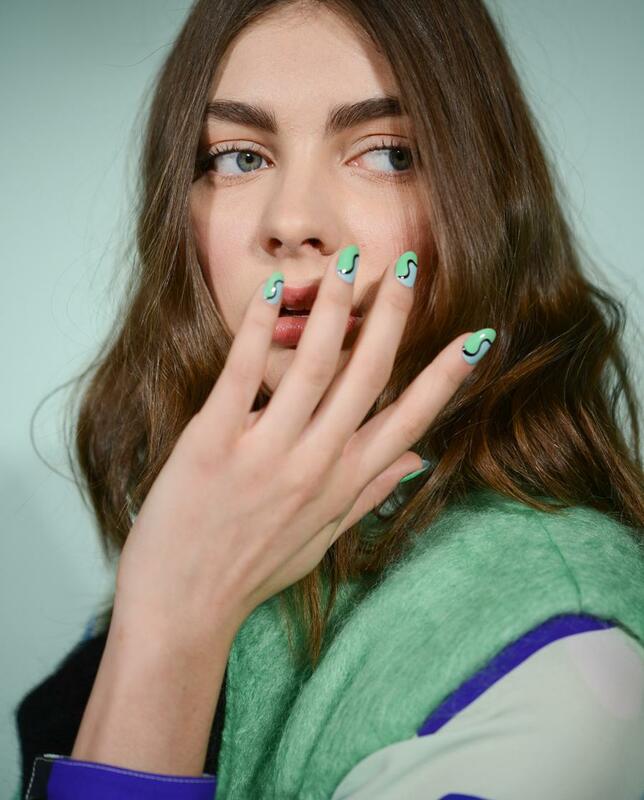 Casey Herman for China Glaze® created a two-toned “S” shaped design using light blue crème Kinetic Candy, bold green crème Shore Enuff, and true black Liquid Leather to perfectly complement the colours and design accents of the collection. Los Angeles (February 2015) –Everyone was seeing stripes at the DEGEN presentation during Fall/Winter 2015 Mercedes’ Benz New York Fashion Week. 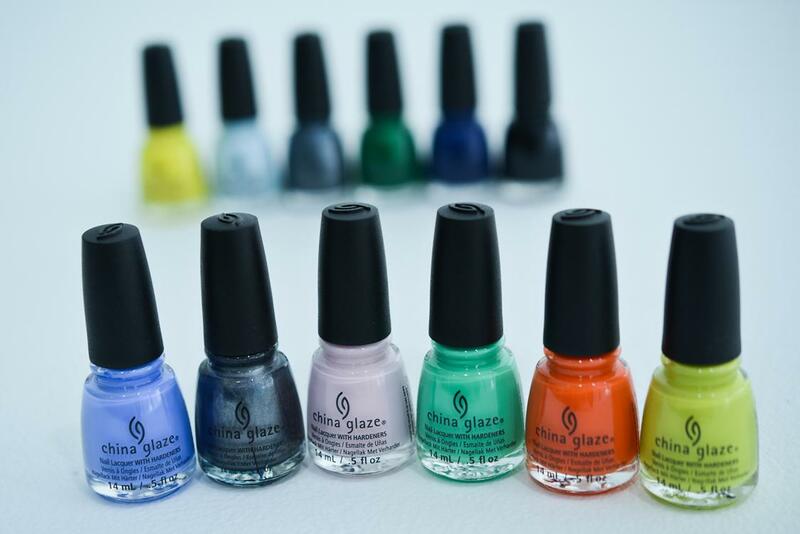 Casey Herman for China Glaze® created a plethora of graphic lines in a variety of new and core shades to complement the wildly colorful creations. 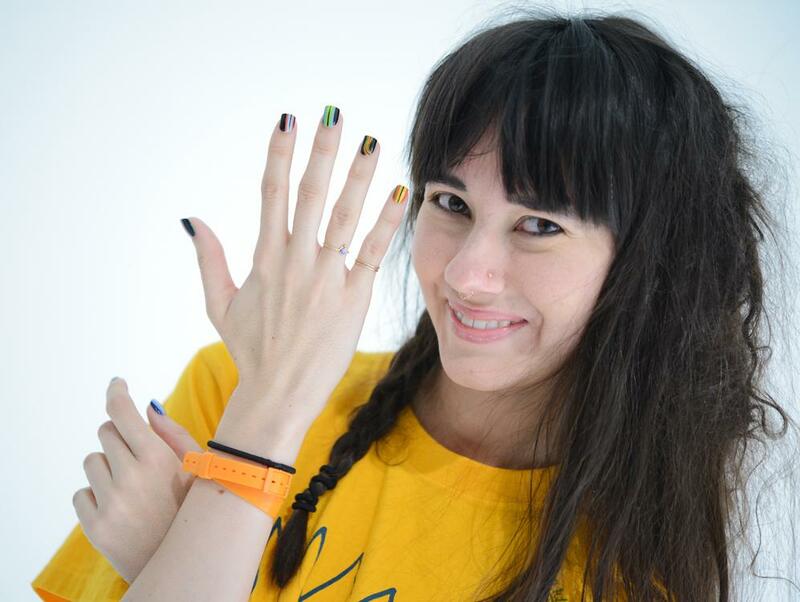 DEGEN’s collection concept was rainbow thread so Herman created an interpretation for the nails. Lindsay’s collections are always so bright and fun but she puts a lot of thoughtfulness into her concept so Herman created a fun look that also had meaning. Thread is literally the base and starting point of fashion, and figuratively humanity is a common thread in us all. Next, apply two coats of the lightest shade, Daisy Know My Name?